Salesforce is a giant international company that provides computer applications for sales, service, marketing and more. Like many other large hi-tech companies, their headquarters is located here in San Francisco. In 2014 they became the primary tenant of an impressive new skyscraper under construction. That building was then rechristened the Salesforce Tower. 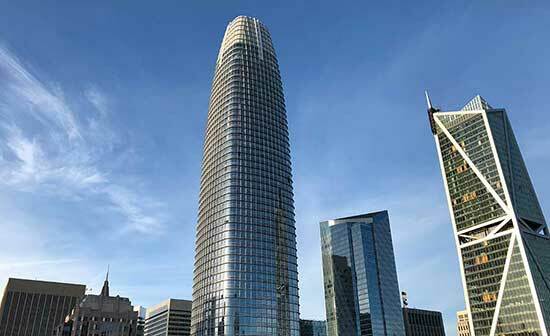 Today, at 1,070 feet (326 m), the recently completed Salesforce Tower is the tallest building in San Francisco. In fact it’s the tallest building on the West Coast of the United States. The tower dominates its neighborhood as well as the city’s skyline and is visible from much of the Bay Area. Although the building is impressive in many ways and quite elegant in its understated form, I want to focus this blog post on the public artwork that covers the exterior of the entire top nine floors. 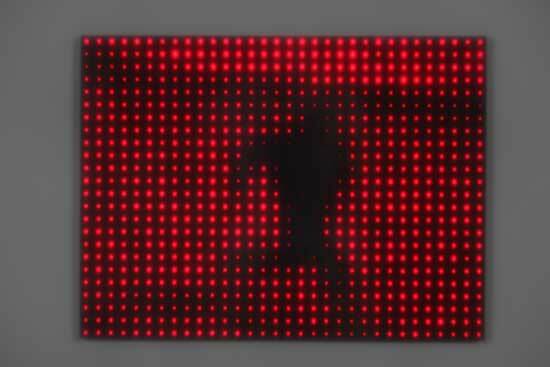 The artwork is an LED light installation by Jim Campbell titled Day for Night. 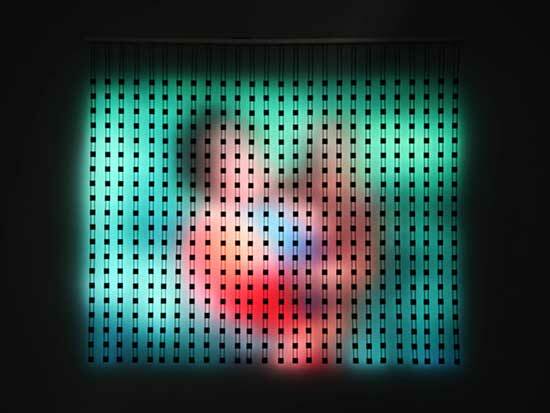 Jim Campbell is a contemporary artist based in San Francisco. He has a degree in electrical engineering and mathematics from MIT. For 25 years Campbell designed micro chips and as of today he holds more than a dozen patents for digital image processing and television technology. For the past several decades he has also worked in film/video and electronic sculpture. Campbell is particularly well-known for his video installations built around footage of common scenes (sometimes old home movies or videos he purchases on eBay). These recordings of random and mundane activities are digitally processed until they become highly stylized and simplified. When these modified video images are played back on monitors or grids of lights Campbell often adds yet another layer of visual manipulation. For example, when he uses grids of lights hanging in front of a wall, Campbell sometimes turns the lights toward the wall so viewers see the moving images as soft reflections bouncing off the flat blank surface. Viewers looking at a Jim Campbell installation in a gallery see a video recording that has been modified by processing and presentation until the objects in it are only simple fuzzy shapes or silhouettes. These extremely low-resolution images are, however, quite magical. In them the mundane subject matter becomes mysterious, universal and poetic. In his installation at the top of the Salesforce Tower, Campbell has affixed 11,000 LEDs to flexible rods extending out from large panels of perforated aluminum that are attached to the building. The lights shine back on the aluminum panels and it is the reflected glow off this surface that viewers see when they look up at the gigantic video images. Even though there are thousands of LEDs casting light all over the top of the building the installation uses only as much electricity as five toaster ovens. 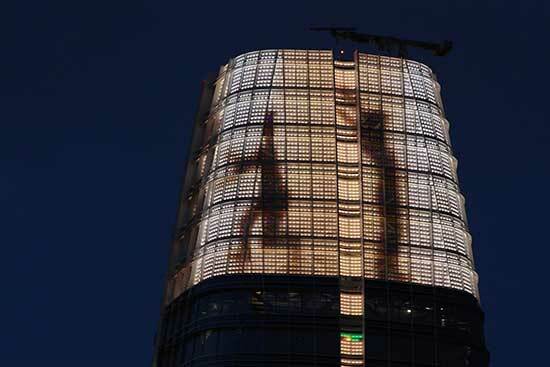 The images projected on the tower are low-resolution scenes taken from vantage points all over San Francisco – ocean waves at the beach, clouds, flocks of birds, dancers, people in a city park. What’s recorded during the day is displayed at night. Here is a brief video showing the piece during one of its early test runs. For those of you reading this in e-mail click here to see the video. Because the videos have a limited amount of detail they capture the spirit and flavor of the city without being overly specific. These are not surveillance videos or jumbotron promotions created by the Chamber of Commerce. Day for Night is the tallest piece of public art in the country. It rests atop the most prominent building in San Francisco and it is visible, on a clear night, from as far away as 20 miles. This is an adventurous commitment on the part of the private sector. It’s also totally appropriate for a city known as the tech capital of the world. Let’s hope this is just the beginning of bringing more art and technology into public spaces in bold new ways. 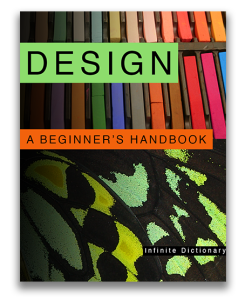 This entry was posted in Artists and Designers, Design in the World and tagged art education, art education resource, Art Textbook, Day For Night video, design textbook, Jim Campbell artist, public art, Salesforce Tower, video art. Bookmark the permalink. Enter your email address to subscribe to this blog and receive notifications of new posts and periodic newsletters by email.